The resort was amazing, the staff were incredibly friendly and always helpful. The cultural experience gained whilst staying at the resort is something we will never forget, the Fijian people are lovely. Always willing to invite you into their villages and experience what they have to offer. I would definitely come back, and would recommend Koro Sun to anyone- honeymooners, couples, friends and families. I can only describe this place as paradise. Enough activities to keep you busy all day or opt to just sit by the infinity pool and bar all day. The food is EXCELLENT and the staff is super friendly and helpful. The edgewater villa is a must! 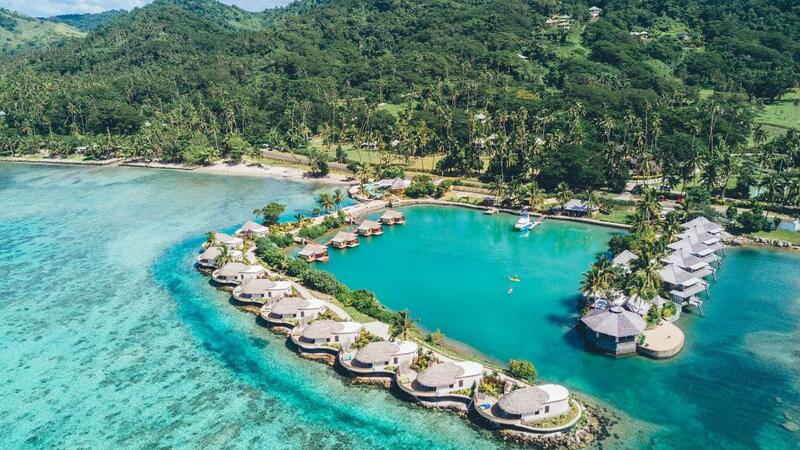 If somebody asked me \"I want to go to Fiji, which resort would you suggest?\" I would answer undoubtedly, Koro Sun. It can have everything that may satisfy anybody, without unpleasant surprises. The owners, managers, staff friendly and pleasant, the hotel in good position and things to do, no matter the weather or if you are family or just a couple...I loved the snorkeling at the edge of the reef and the canoeing evenings. Spectacular views, nice dinners, wonderful serenades at the dinner time played by a local group and a friendly atmosphere all around. What else to look for? Fabulous and very relaxing. Loved the pearl farm.